Unlike years ago when music was both kept and enjoyed in the vehicle, most people take their entertainment with them in the form of their smartphones. In addition to music, phones provide maps and navigation, connect users to others via voice or message, and keep their owners moving with information and updates throughout the day. As indispensable as phones are, it stands to reason that users want to have access to them while driving. However, phones are designed to be full-focus devices. Holding or operating a cell phone while driving is No. 2 on the list of most distracting actions by drivers, according to a 2018 report of data analyzed by Erie Insurance housed in the Fatality Analysis Reporting System, a nationwide census of fatal motor vehicle traffic crashes maintained by the National Highway Traffic Safety Administration. Apple® CarPlay™ and Android Auto™ let drivers access entertainment and information options from their smartphones through the larger, safer interface of the car radio, which is designed to minimize distraction. Apple CarPlay is integration software designed by Apple that allows a car radio to become the control interface of a connected iPhone®. Android Auto, designed by Google™, performs the same core function for compatible smartphones using the Android operating system. 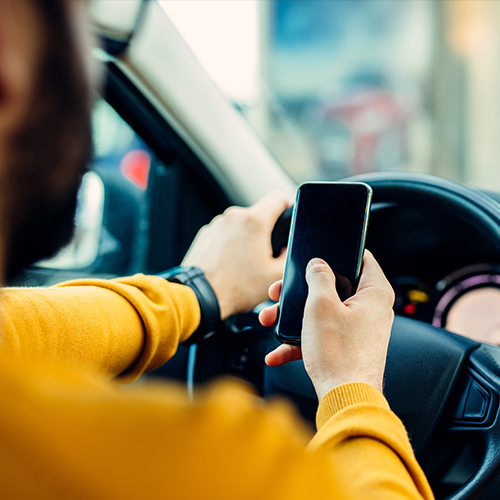 Drivers can use approved music streaming, navigation, phone and messaging apps from their smartphones by accessing the apps from the radio’s touch screen or by using the phone’s voice recognition system. All content, including music, map displays, song/title/artist information, voice commands and responses are managed through the car radio and audio system. Did you know? Apple CarPlay or Android Auto can be added to your existing vehicle. For more information, contact your Vision Zero Automotive Network Preferred Retailer.